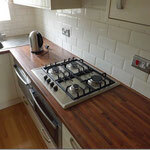 "We were impressed by the speed of the work, and how Brighton & Hove Kitchens helped us achieve an affordable kitchen whilst making creative use of our limited space and adding luxury just where it mattered to us. 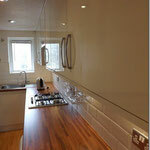 Ultimately we've been really pleased with our new kitchen - thank you!" 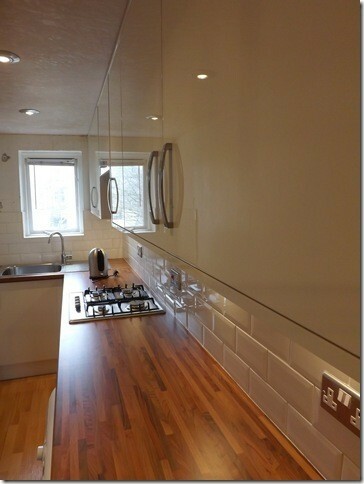 Louise and her partner had purchased a top-floor City Centre flat with amazing views over the Brighton sea-front. Their lovely flat was in an old building in the heart of the city, where space is at a premium and the kitchen was a typically narrow galley-style space. 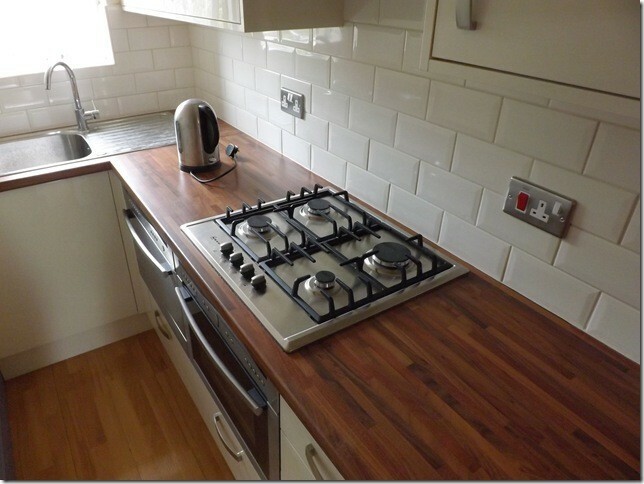 Louise needed a practical but stylish kitchen that would provide sufficient storage and work space for her to entertain family and friends. 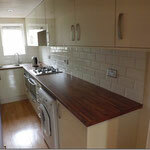 Louise wanted to use a local, independent company for her new kitchen. She approached some local showrooms and also looked on Checkatrade. 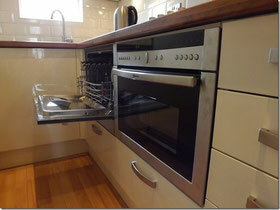 Louise met with Jem from Brighton & Hove Kitchens to discuss her specific requirements. Using his years of experience in kitchen design, Jem was able to make some clever suggestions about how to maximise space without compromising on style. Suggestions included using compact appliances, light gloss units to reflect light and base drawer-units to create as much usable storage space as possible. 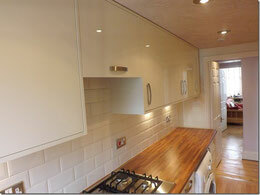 The finished result met all of Louise's expectations and created exactly the kind of kitchen that she had hoped for. 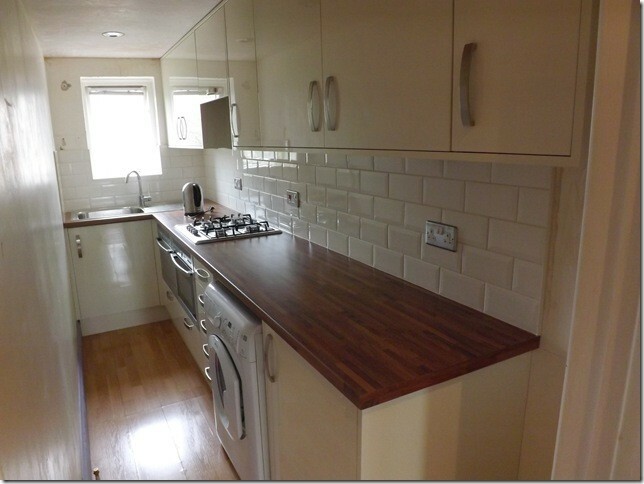 Even better was the fact that the units from Brighton and Hove Kitchens were of a far better quality but at £2,000 significantly cheaper than those from the other companies she had spoken to.